Business software giant Sage is stepping up its presence in the cloud with an online version of its Sage 200 package for medium sized businesses. Named Sage 200 Online, it has been developed on Windows Azure under the company's technology partnership with Microsoft, and is aimed primarily at firms with 20-200 employees. Stuart Lynn, CTO and CIO for Sage UK, told TRPro that it includes the basic capabilities of the seven year-old Sage 200, handling financials, commercials, project accounting and trade counters, and that it accommodates the community of developers who have created a range of niche apps for the software. "We've got a large developer ecosystem and it was important to take them with us," he said. "We can support them with the compatibility of the cloud product." 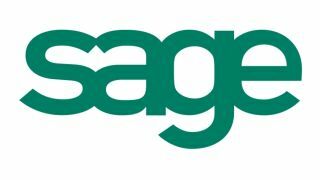 Sage already has a strong presence in the cloud with its customer relationship management system, SagePay and SageOne for small businesses, and Lynn said the relative complexity of Sage 200 is the main reason it has taken longer to develop an online version. "Taking a desktop product and making it a cloud service without all the functionality was a big concern for us, and we had to make sure we built with the right partner, which is where Azure comes in," he said, adding that he expects the apps developers to concentrate their efforts on the cloud rather than in-premise version from now. It is available on a 'pay as you go' basis, with customers able to choose modules that are relevant to them, not paying for what they don't use, and to add and remove users to respond to fluctuations in demand. Lynn said the in-premise version of Sage 200 will still be available, but that "if customers are pushing for a business need to be filled we will encourage them to use the cloud version".